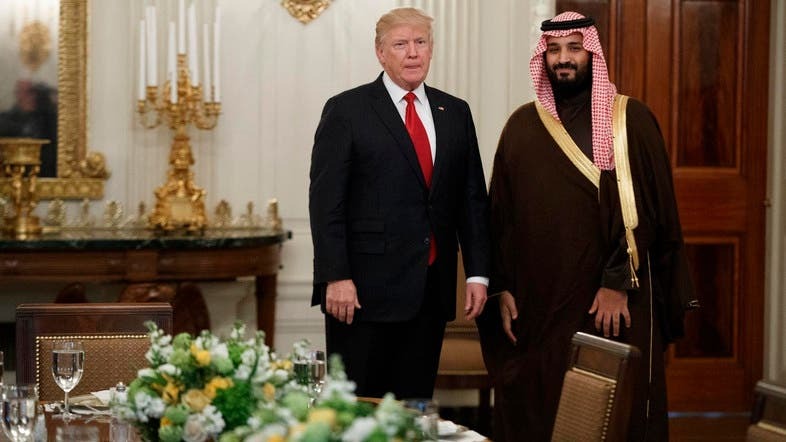 In bowing and groveling before Saudi royalty and the all-powerful Israeli regime and Washington-controlling Israeli lobby, President Donald Trump continues to demonstrate that he is a puppet of globalist masters, the Deep State, and the existing international criminal political establishment. In signing over the single largest arms deal in US history with Saudi Arabia, “both the neo-cons in DC, as well as the all-powerful American Military-Industrial complex can declare a truly unprecedented victory”. It is also a triumph for the CIA, and the CIA’s international network of terror fronts, including ISIS and Al-Qaeda. This arms deal, globalism on super steroids, is on top of already immeasurable military-industrial lucre, a mushrooming Pentagon budget, and a CIA black budget that is uncounted as well as bottomless. It is a promise that the existing criminal Anglo-American war and terrorism agenda—the Bush-Obama-Clinton/New World Order blueprint for conquest—not only continues, but receives a super escalation, towards regime change in Syria, as well as continuing aggression towards Iran. Trump essentially continues to massively fund terrorism, including future attacks on American targets via the CIA and the Deep State, while spewing nonsensical hot air about fighting terrorism. His performance was tantamount to lecturing a den of chuckling mafia godfathers about the dangers of crime, while paying them billions of dollars. Trump will do the same in Israel, where Jared Kushner, who is deeply connected to Netanyahu and Israeli interests, will cut yet more power deals on behalf of Tel Aviv. Lee Stranahan is among many who is alarmed by Trump’s 180 degree reversal from long-held views, and views pushed by Trump throughout his election campaign. Trump’s foreign junket amply demonstrates how little control Trump has over his own actions. According to Mike Cernovich was forced to make the trip by the globalists who actually control the White House, and who drive foreign policy: National Security Advisor H.R. McMaster, Deputy National Security Advisor Dina Habib Powell (and here) and Chief Economic Advisor Gary Cohn (and see here). This neocon Saudi lobby has co-opted the White House, along with Jared Kushner and Ivanka Trump (Dina Habib Powell is Ivanka Trump’s advisor). This is the definition of an internal coup, and a continuing political suicide that Trump himself has enabled, and seems unwilling and unable to recognize or combat. The arms and nuclear weapons deal itself was orchestrated by McMaster, according to Cernovich, all towards a ground war in Syria. Powell is close to Hillary Clinton aide and Muslim Brotherhood-connected Huma Abedin, Obama senior advisor Valerie Jarrett, and others who are working to destroy Trump. Both McMaster and Habib Powell are suspected of leaking anti-Trump stories to the Washington Post and New York Times. Between his continuing foreign policy capitulations, the appointment of dangerous Bush neocon and 9/11 fixer Robert Mueller as a special prosecutor to dog his presidency, and the looming appointment of another political enemy (such as Joe Lieberman) as FBI director, Trump’s sabotaged, bleeding presidency appears doomed. Below is a video of Trump delivering his speech in the Arab Islamic American Summit.